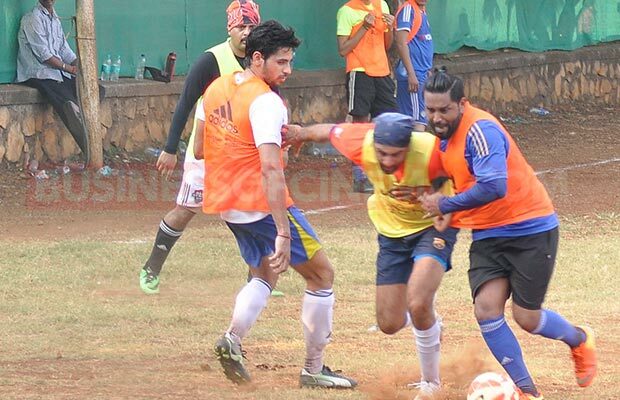 Spotted: Ranbir Kapoor And Sidharth Malhotra's Aggressive Battle On Ground! Home BOLLYWOOD Spotted: Ranbir Kapoor And Sidharth Malhotra’s Aggressive Battle On Ground! 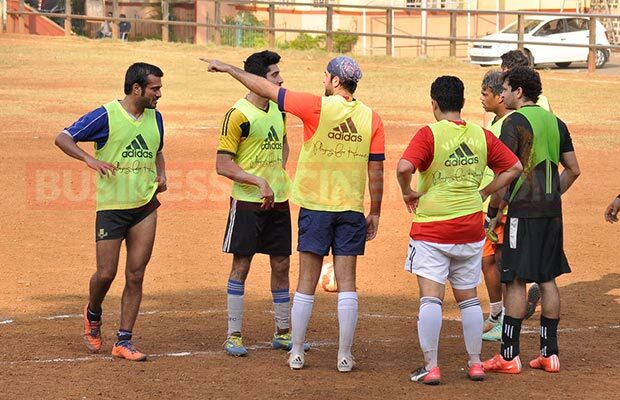 Spotted: Ranbir Kapoor And Sidharth Malhotra’s Aggressive Battle On Ground! 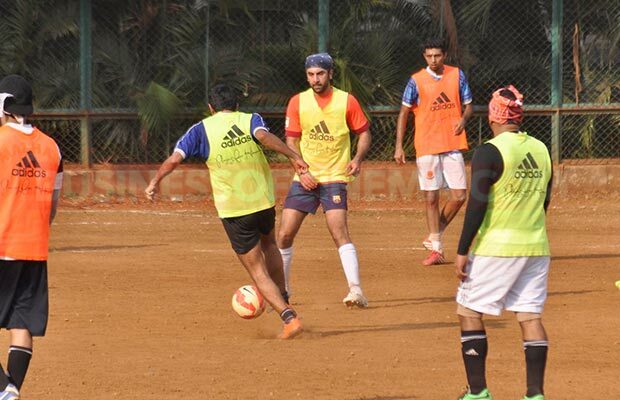 [tps_footer]Bollywood actors Ranbir Kapoor, Sidharth Malhotra, Abhishek Bachchan and others love playing sports during their free time. 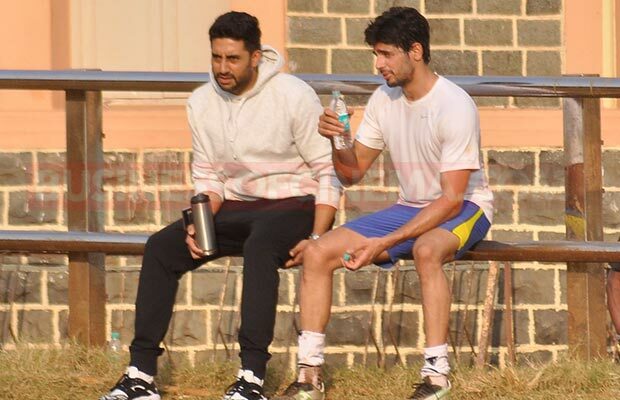 B-town hunks Ranbir and Sidharth were recently spotted playing football in Mumbai, while Abhishek was seen supporting and cheering them off field. The actors are known to be die hard football fans and cannot let go any opportunity that comes on their way to play their favourite sport. 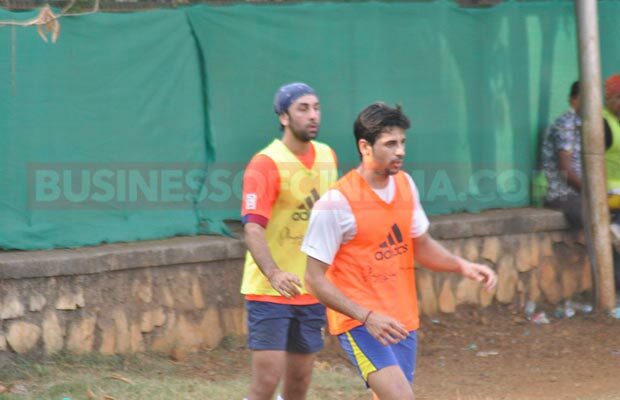 Sidharth and Ranbir, who are big football lovers, were seen battling aggressively against each other. The die-hard sports fan Abhishek Bachchan who doesn’t leave a single chance to play his favourite game was spotted outside the field this time. 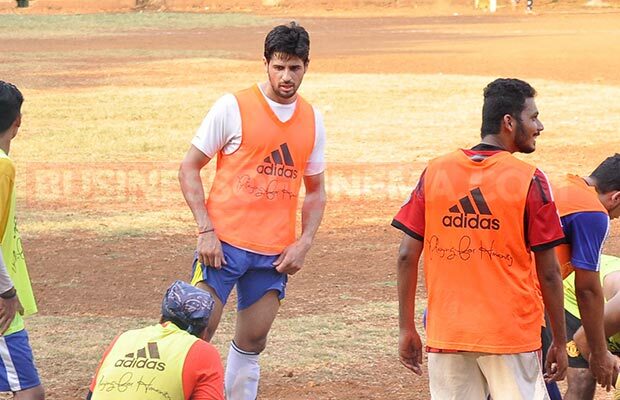 He was however seen interacting with the boys after the match. Also Read: Ranbir Kapoor And Katrina Kaif Made An Exit On Salman Khan’s Arrival? It seems all the three stars had a great skill practicing Sunday and moreover they enjoy playing together and get little mud dirty. 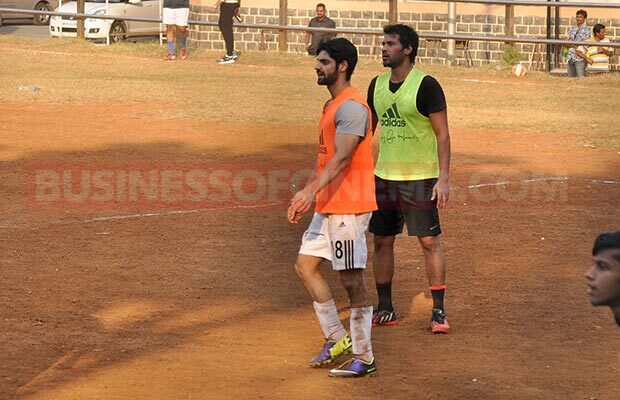 Also actors Karan Wahi and Shabbir Ahluwalia were spotted playing soccer with them. 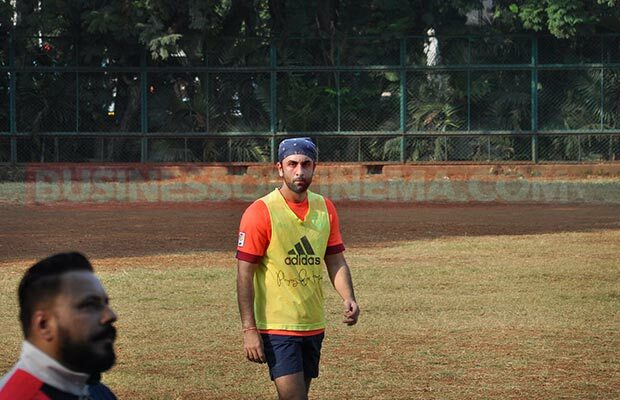 Well, this is not for the first time, Ranbir Kapoor and Abhishek Bachchan keeping battling and playing football during their free Sundays. 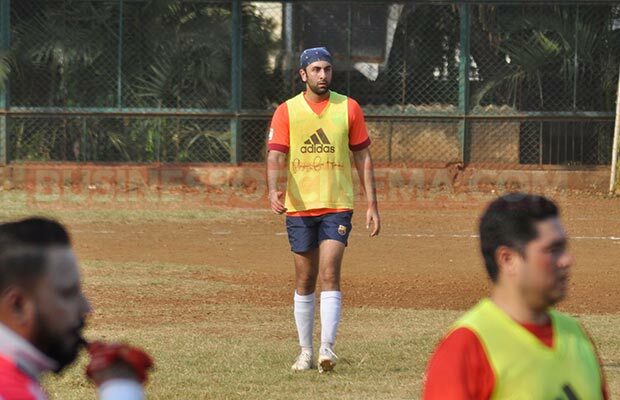 In fact Ranbir and Abhishek also have their own football team in Indian Super League (ISL). 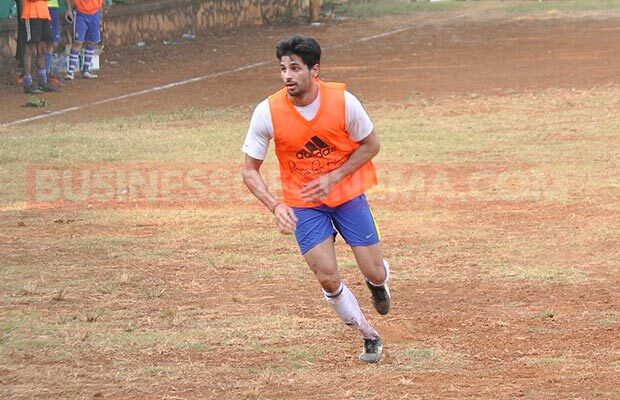 Preparing themselves for the next season? On the work front, Ranbir Kapoor is busy with the promotions of his film Tamasha with Deepika Padukone while actor Sidharth Malhotra is currently working on his much-talked project Kapoor & Sons which stars Alia Bhatt and Fawad Khan in lead roles.